Can Vietnam be an important Aviation market in ASEAN? Vietnam, officially known as Socialist Republic of Vietnam Republic with a population of 89,693,000 (estimated 2013) which ranks 13th in world population. 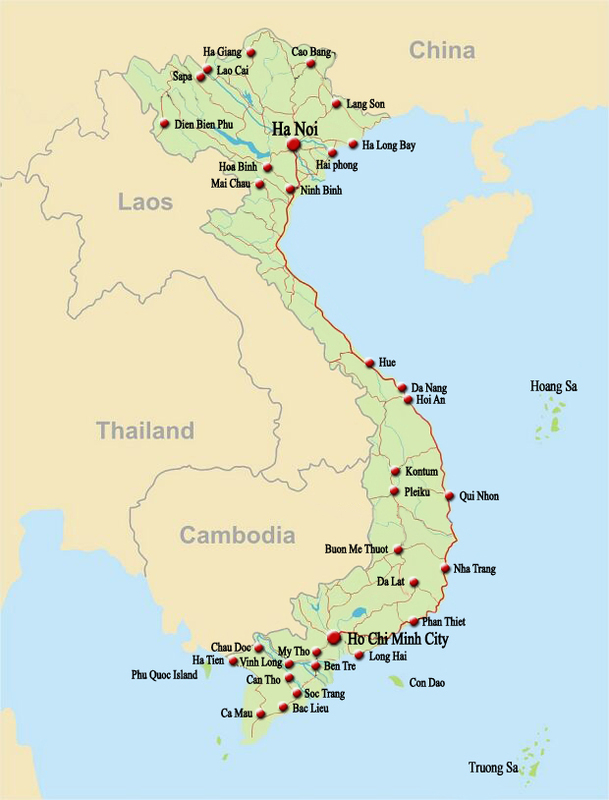 Vietnam lies its borders with Cambodia and Laos on the west, China on the North, and the South China Sea (East). Vietnam’s Aviation Industry is targeting total income of US$12-15 billion by 2020, which will account for 5 to 8% of the country’s GDP. 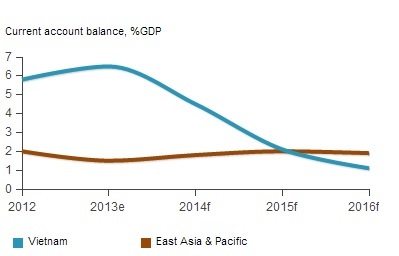 By 2014, Vietnam is expected to be the world’s third fasted growing market for international passengers after United Arab Emirates and China and also the third fastest growing freight market after Hong Kong and the mainland China. In addition, the second fastest growing domestic passenger market after China. Vietnam Exports were a total of US$ 311 million which includes : electrical machinery – US$ 87 million, footwear US$27 million and furniture – US$27 million. Then two other international airports Nha Trang and Vinh Airport which was opened on 2012 to provide short to medium haul flights can become the next international airports. The annual passenger growth rate has been approximately 16% for 2010- 2015 and 14% expected from 2015- 2020. 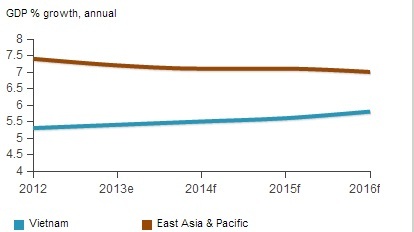 The market is expected to reach about 36 million passengers by 2015 and 52 million passengers by 2019. On 2012 the number of passengers were 25.4 million; on the other hand, the freight market is supposed to grow by 16% from 2010 – 2015 and by 18% from 2015-2020. 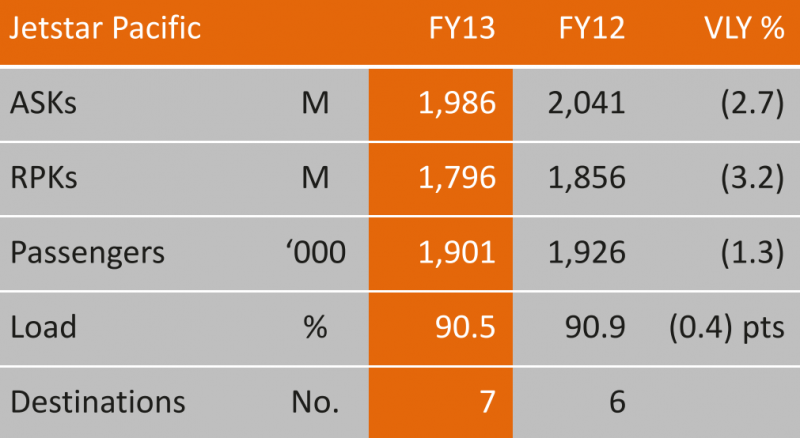 The freight rise will be approximately 0.93 million tons in 2015 and will increase to 1.6 million tons by 2019, compared to 0.53 million tons in 2012. Vietnam is an ideal location for an aviation growth since it is 990 miles long with some of the major cities and a lot of tourist destinations are spread throughout the country. The infrastructure in the country is still underdeveloped (railroad and highways). 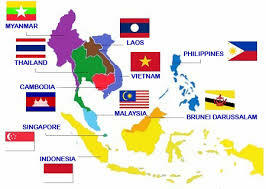 Viet Nam is lagging behind the Big 5 in ASEAN (Indonesia, Malaysia, Philippines, Singapore and Thailand). 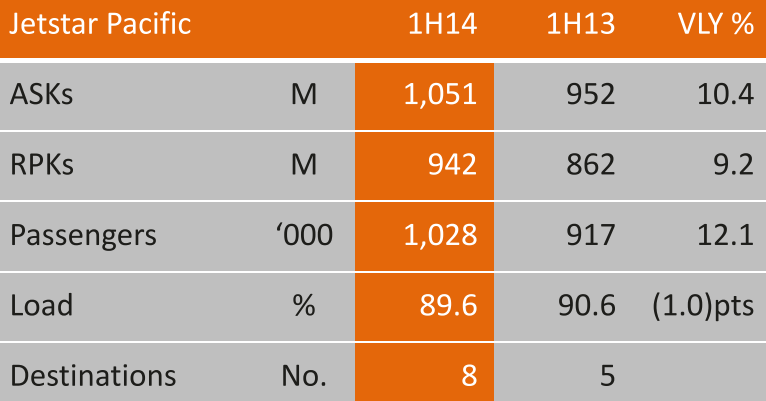 It has the third largest population but has the smallest fleet size, the lowest fleet/population ratio, the lowest penetration rate for LCCs (19% of the total market – with domestic 25% and international 14%). In Vietnam Government plays an important role and the military is very much involved in the aviation sector, a change is expected as the government deregulates the airspace and will implement more air traffic procedures and control processes. For the LCC (Low Cost Carriers) to grow other regulatory reforms are required, and to attract foreign investments in the country the investment regulations are required to change. According to the Government announcement there will be no new airline application before 2015. The aviation industry in Vietnam lacks an experienced and trained staff which can handle the sector. The national carrier Vietnam Airlines’ pilots are 45% expats and the percentages of expats in Vietjet Air and Jetstar are even higher. 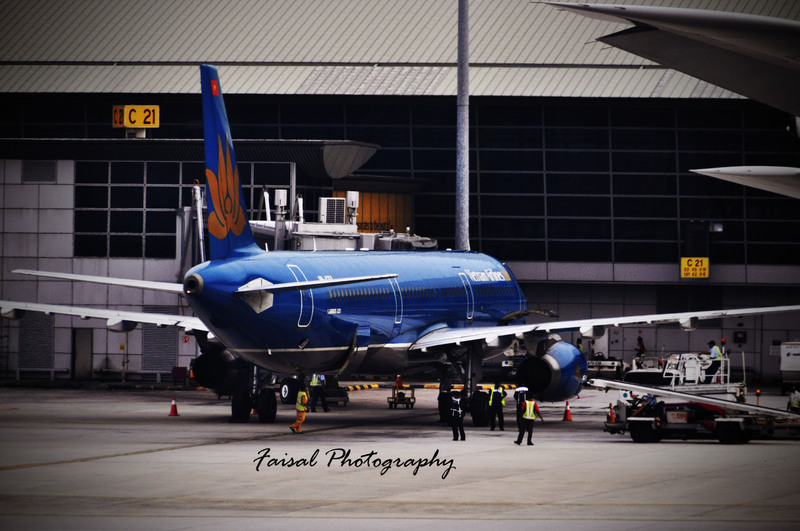 Even though some private airlines which are licensed in recent years, most operators are very much under state control (Vietnam Airlines, Vietnam Air Traffic Management, Vietnam Airlines Petrol Company and the Airports Corporation of Vietnam). Vietjet Air which is regarded as a private airline company but enjoys government support. 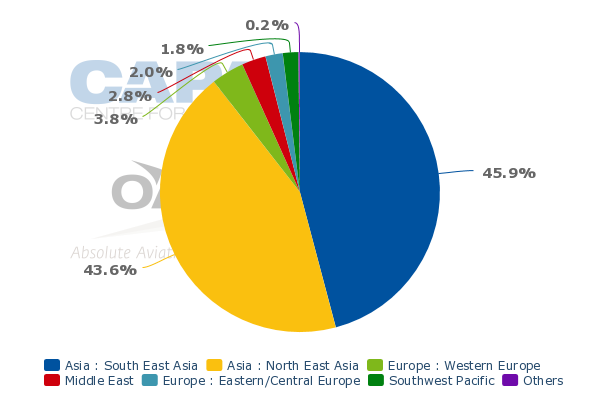 Vietnam Airlines held 63.0% of the domestic travel market on December 2013 compared to December 2012 which was 69% , Vietjet 24.9% had 15% and Jetstar Pacific had 12% on December 2013 compared to 10% which it had on December 2012. It is a member of the Sky Team Alliance. 3 ATR aircrafts are leased to Vasco, 4 ATR aircrafts and 3 A320s are leased Cambodia Angkor Air ; the airline is currently looking for routes to United States and Australia as it will get its Boeing 7878-9 and A350s delivered through 2014. Vietjet Air: It was founded on 2007 but commenced it operations from 25 December 201. The Company is private owned but it enjoys a lot of government support. International services started in February 2013 to Bangkok with other South East and North Asia service to begin from 2014. The company is looking forward to set up an affiliate airlines in Thailand, Myanmar and also Taiwan. Jetstar Pacific: It was founded as Pacific Airlines on December 1990 but commenced operations on April 1991. It was the first Low Cost Carrier in Vietnam and it operates in Vietnam (Domestic) but planning to start international services in 2014. Vietnam to Macau flights started on March 2014. Vietnam Air Services Company commenced business in 1987 with aerial photography and geological survey flights. It began providing passenger services in South Vietnam from 2004 and it is a subsidiary of Vietnam Airlines and likely to be privatized in 2015. Viet Star Airlines is an air taxi service licensed under the Ministry of Defense in 2010. In April 2012, Viet Star and Miltrade Aerospace (Singapore) opened an independent MRO base in HCMC to service up to A320 aircraft, with associated workshops servicing wheels and brakes. Further capacity up to ‘C’ checks is to be added. 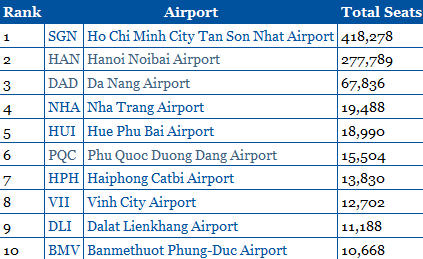 Two secondary airports – Nha Trang and Vinh. Phu Quoc, which opened in 2012, in the short to medium term could become the next international airport. According to CAAV, this plan for developing the airports plan will cost US$7.2 Billion but this is just some partial costs. Many international donors are willing to fund the airport developments project in Vietnam, this will influence the way the projects are developed and run. Japan has been one of the major donors and this means many Japanese companies have received development and construction contracts in the country. There will be a new terminal (T3 Terminal) and also a third runway at Noi Bai International Airport (Hanoi) which will have a capacity of 20-25 million passengers and cargo terminal with an annual capacity of 0.6-1 million tons, workshops for repairs and for large aircraft. Noi Bai International Airport will receive 4F grade ICAO and Grade 1 for a military transport after 2020, the total annual capacity is expected to reach 50 million. On the other hand, Long Thanh International Airport (Dong Nai Province) will be developed o replace Tan Son Nhat Airport in Ho Chi Minh City, this is become the largest and most important international airport in Vietnam. The airport will have an total annual capacity of 80-100 million passengers with a 4F grade (ICAO). Cat Bi Airport Hai Phong: 4-5 million passengers per year and 80-100,000 tons of cargo per year. Danang Airport: 10-15 million passengers per year and 250,000 – 300,000 tons of cargo per year. Phu Bai Airport Hue City: 4-5 million passengers per year and 200,000 – 300,000 tons of cargo per year. Chu Lai Airport Quang Ngai to become the regional cargo airport with the second runway with a capacity of 4 million passengers per year, 5 million tons of cargo per year. Cam Ranh Airport Nha Trang: 4-5 million passengers per year and 200,000 – 300,000 tons of cargo per year. Can Tho Airport: 5 million passengers per year and 400,000 – 500,000 tons of cargo per year. Phu Quoc Airport will become the centre for tourism and trade an it will be suitable for Boeing 747 aircrafts with 6 million passengers per year and 300,000 tons of cargo per year. According to CAAV proposal the international airports will be open to foreign investment and airports categorized as having an important international capacity in a national security context which is likely to continue managed and subsidized by the government. Even the regional airports will be open up for foreign investment. To tackle the Vietnamese market articulate unique selling points, whether as an American or New Zealand customer. Secondly, despite facing stern competition from rivals and economic uncertainty, Vietnam Airlines is taking substantial steps to expand its network. On the contrary, the growth of low cost airlines will boost the economy, but there is too much of government involvement in the airlines industry; also there is a lot of corruption in the government which makes it hard for the industry to move forward. Fortunately, the Vietnam’s tourism industry is growing and this will boost the aviation industry even more.